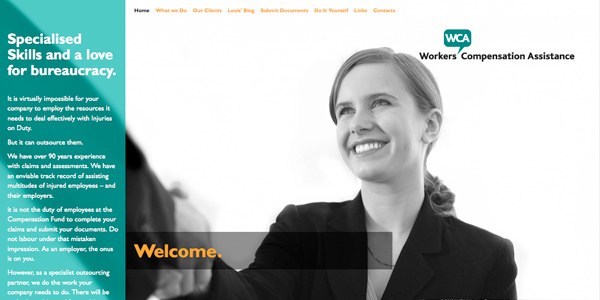 WCA Workers Compensation Assistance approached One Part Scissors to develop a website that is modern, clean and stylish. 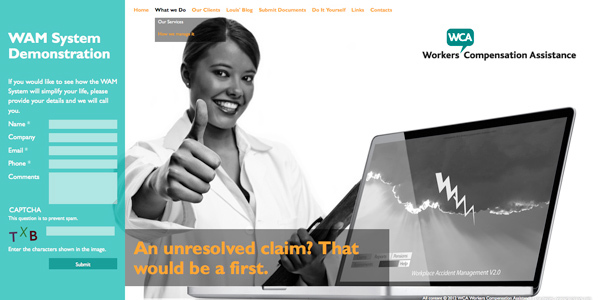 WCA offers assistance to companies dealing with the Compensation Commission on claims (Injury-on-Duty, etc). 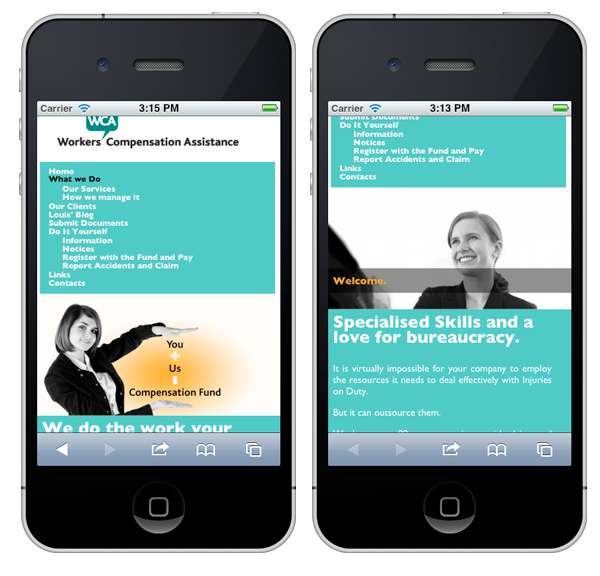 The time and expertise needed to deal with all the red tape of the government department means that companies are often paying too much and not claiming enough, and this is where WCA steps in and assists companies with the process. The website is slick, clean, and minimal, with large, inviting black-and-white images taking center stage. The content of the website is contained in a semi-translucent turquoise band, with strong, bold typefaces. The website is built on the Drupal content management system, allowing the client quick and easy access to keep the website up to date. The website is built on the latest Version 7 of Drupal, which has truly taken an already-excellent system to the next level. 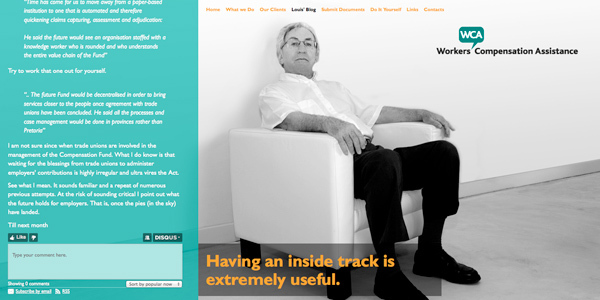 The website also features a blog run by WCA, making use of Drupal's built-in blogging capabilities. 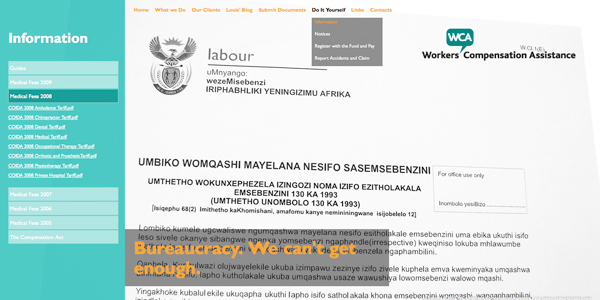 Sections containing large amounts of document downloads are divided into manageable sections which are presented with an 'accordion-style' display, that allows the visitor to expand the sections they are interested in. The website also features a distinct mobile theme so that it displays appropriately on the (increasingly-important) mobile devices like iPhones, iPads and other smartphones.